What’s in a Name: The genus name Narcissus is thought to be derived from the Greek Narkissos, meaning sleep or numbness. reflection in the lake, was thought to portray the vanity of Narcissus. • Narcissus may be white, yellow, or deep to pale orange, or a combination of two of these colors. • Jonquils are thought to bring good fortune to those who do not step on them. 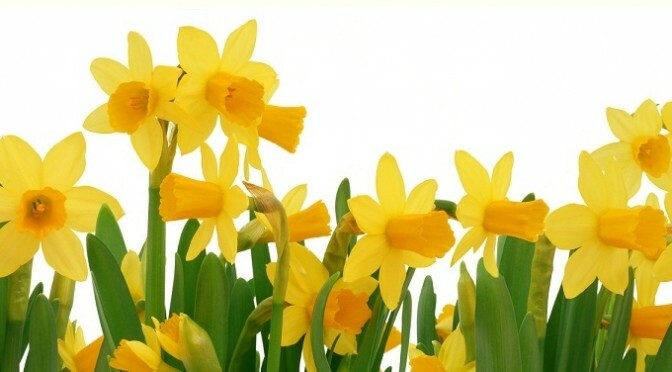 • Daffodils are often the first flowers to bloom during spring. • Narcissus’ sap contains sharp crystals which protect them from foraging animals. • These same crystals cause other flowers to wilt if placed in a bouquet with Narcissus.